A stunning Spiral’ engagement ring. 0.90ct round brilliant cut diamond surrounded by spirals of diamonds making this a unique commission. Ring Style – Engagement ring. We only use high quality precious metals and gemstones to make our jewellery. Each unique piece of jewellery is handmade with precision by Roger and his experienced Goldsmiths. Let us design your jewellery or bring your own designs to us and we will turn your idea into a reality. Once you have decided on a design we will get to work by ordering the required materials and then to creating the perfect piece of jewellery for you. We pride ourselves on our knowledge, craftsmanship and experience when making our bespoke jewellery. Excellent quality and attention to detail are achieved through our bespoke manufacturing service where each piece of jewellery is handmade to perfection. Rojers Jewellery are an award winning Bespoke and retail jewellers based in Irby, Wirral and is independently run by Roger and his partner Lisa. Roger is a Goldsmith, Diamond Setter and Jewellery Designer with over 18 years experience in the trade. Rojers Jewellery are an award winning Bespoke and Retail jewellers based in Irby, Wirral which is Independently run by Roger and his partner Lisa. 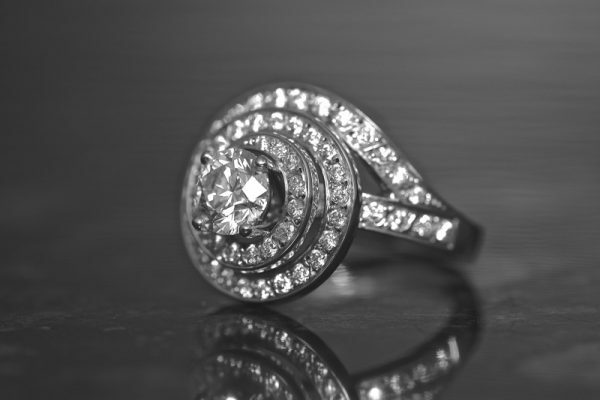 Roger is a Goldsmith, Diamond Setter and Jewellery Designer with over 18 years experience in the trade.